Redlegged Frog Productions is a music business promoting concerts in the Tri-Valley. The company was started in 2013 by Rance D. Haig a resident of Pleasanton, Ca. Rance has always had a passion for music. When he was a teenager he went to the Monterey International Pop Festival and saw every concert which included the Grateful Dead, Jimi Hendrix and the Who just to name a few. As a college student, Rance promoted concerts in Monterey, Ca in the late 60’s. He booked all the major California acts of the day. This included; the Grateful Dead, Santana, Charlie Musselwhite, Taj Mahal, Elvin Bishop, Country Joe and the Fish and the Steve Miller Band. 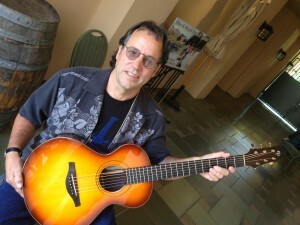 After retiring from his corporate job, Rance is carrying on his love for live music by promoting music concerts to the Tri-valley area (Pleasanton, Danville, San Ramon, Livermore). Red Legged Frog Productions promotes both local as well as national artists in the various halls and theaters in the Tri-valley area.